JUBA, SOUTH SUDAN (ANS – March 28, 2015) — A Sudanese pastor in South Sudan was jailed and tortured for more than three months after Islamists who tried to kill him accused him of being a spy, sources said. 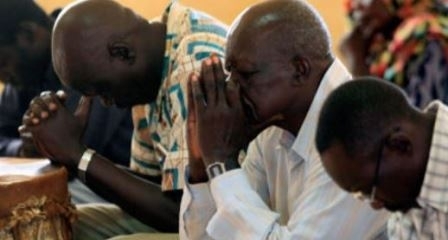 “This pastor of a church in an undisclosed area of South Sudan, Haron had gone to Aweil, about 800 kilometers (500 miles) northwest of the capital city of Juba, to plant a church,” said the story. Morning Star news went on to say that Haron, who came to South Sudan in 2010 after converting to Christianity in 2005, said that three days later six armed men, including three in military uniform, entered his hotel room in Aweil and started to search his personal bag and laptop and scattered his clothes around. They also took his cell phone. One of the assailants took out a pistol, pointed it at Haron’s head, and asked him if he was a Christian pastor. He answered, “Yes, I am a pastor,” and they took him to a detention center in Aweil, he said. The story then stated that Haran said the three men in uniform were military intelligence personnel. Based on a military officer’s interrogation of him, he concluded that the radical Muslims had the military personnel arrest him after falsely accusing him of being a spy for Sudanese President Omar al-Bashir’s National Congress Party. 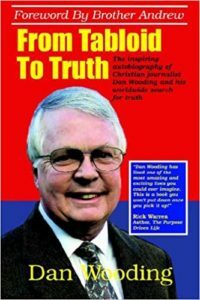 Morning Star News then continued, saying Haron, who pastors an underground church made up primarily of converts from Islam, said he was gratified that the mistreatment tested his faith. Officials from Sudan’s National Intelligence and Security Services (NISS) are demanding that the Rev. Peter Yein Reith and the Rev. Yat Michael pay $12,000, but even that may not guarantee their release, sources said. “Bashir’s regime, meantime, continues to bomb civilian targets in its war with rebels in the Nuba Mountains of South Kordofan state,” said the Sudan correspondent. “On March 11 at 2 p.m., Russian-made Sukhoi jets bombed Tanase village, Bram County, wounding a 15-year-old girl, an area source told Morning Star News. Saloom Habil Tiya of the Sudanese Church of Christ was walking near her home when the bomb landed a short distance away. The source said the girl was seriously injured, adding that there is no military installation near the area. “We hope the international community will pay attention to the crimes committed,” the source concluded. Photo captions: 1) Christians going to church in South Sudan. 3) Homes ablaze in Kordofan (Photo courtesy of Operation Broken Silence), 3) Inmates in a South Sudan prison. 4) Sudan’s President Omar Hassan al-Bashir.